"Only through tyranny can true peace be achieved." Once thought to be the reincarnation of the Original Megatron, it has recently been learned that he was actually a clone made by the giant Transformer. Unfortunately for Unicron, he wrought too well, and Galvatron rebelled against him just as Megatron would have. As he was dying, Unicron punished Galvatron by inducing madness in him. It was this that eventually drove his troops to overthrow him and turn him over to the Maximals just prior to the end of the Great War. Galvatron spent the next three hundred year in a stasis\rehabilitation pod, until he was freed by Triplecross and his Terrorcon rebels. Triplecross intended to use the insane leader as a figurehead, to draw troops to his cause. Unfortunately for him, the Maximal's rehabilitation had succeeded in curing him of his madness, but not of his ambition. He used the new body and powers given to him by his new 'followers' to take over the Terrorcons in actuality as well as name. 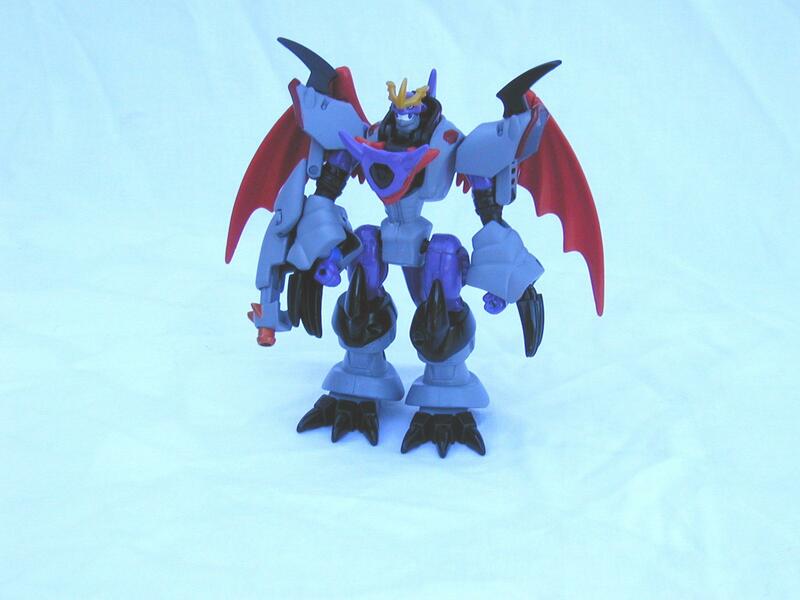 In his new body, Galvatron is more powerful than ever. He has quantum armor that is as close to impenetrable that Cybertonian science can achieve. Very few beam or munition weapons can affect it, much less damage it. As he still has the power generators supplied to him be Unicron, Galvatron does not need to consume energon to survive. Consequently he almost never runs out of power during a fight, although a prolonged battle can deplete the amount of power he can draw on at any one time. His original x-ray laser has been replaced by a newer positron cannon, a more energy efficient weapon. The energy of the beam the cannon fires is initially small, however when it strikes it's target the positrons in the beam react with the molecules of it's target, this causes a greater explosion than a normal beam weapon alone could cause. For close quarters combat, Galvatron can use the claws on his forearms as powerful slashing weapons. Although they have no enhancements to make them more effective, they don't actually need any. Galvatron's own physical strength is second to none, including Primon's. He can fly in dragon of robot mode, and his dragon mode can breath an etremely powerful fire weapon in addtition to using the positron cannon. Although Galvatron rules the Terrorcons with an iron fist, he must always be on his guard as Triplecross will stop at nothing to regain his status. Triplecross must also beware, as every day Galvatron becomes more convinced that Triplecoss' threat to his leadership outweighs his usefulness to the Terrorcons. Needless to say I used the positron cannon as a nod to the original figure. I'd been putting off doing Galvatron for almost a year and a half because I couldn't decide on a figure that fit him. I was originally going to use Transmetal 2 Megatron, but he just didn't quite fit. 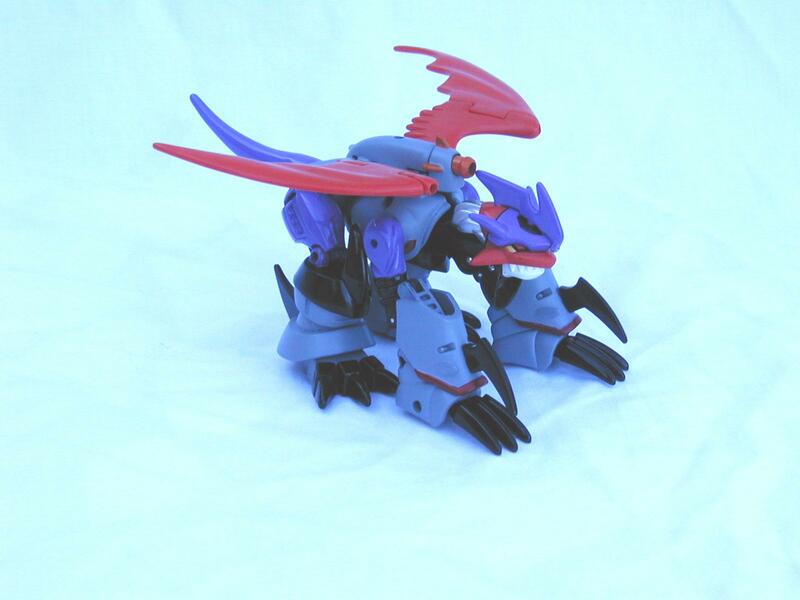 Then about 4 months ago I saw Imperialdramon for the first time and knew I'd found the right one.